Despite geographic distance, Vietnam and the United Arab Emirates (UAE) have established friendship and cooperation for a long time. Indeed, the leaders and peoples of the two countries have always supported each other in their struggle for national independence and development. Nowadays, the UAE is Vietnam’s important partner in the Middle East, while Vietnam is a gateway for the UAE to the South East Asia. On the occasion of the 25th Anniversary of diplomatic ties between Vietnam and the United Arab Emirates (UAE), Vietnam Business Forum wishes to highlight some achievements in the relations in the past years. The two countries have recorded distinguishing active cooperation ever since they established diplomatic relations in 1993. Nowadays, the two nations have continued an effective cooperation in politics, trade, investment, aviation, culture, education, labour, tourism as well as reinforced high-ranking visits and friendly exchanges. Additionally, many investment and trade promotion delegations between the two countries have been underway over the past time. Both the UAE and Vietnam always stand to support and coordinate with each other in international forums. They share a common point of view of international and regional issues. For nearly twenty five years, the two nations have walked a long way together in which trade exchange and economic cooperation have been developed well and become an important pillar of the bilateral cooperation. Remarkably, bilateral trade turnover has rapidly increased year-on-year and expected to reach US$10 billion in the near future. 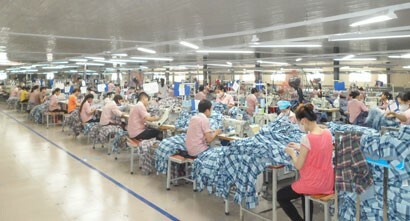 Vietnam has often a trade surplus with the UAE. So far, the UAE has become among the top ten largest trade partner of Vietnam. 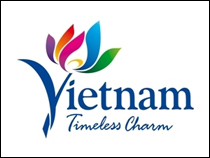 As one of ASEAN’s fastest growing economies, Vietnam provides attractive business and investment opportunities. As such, Vietnam is high on the Dubai Exports’ Agenda, which focuses on expanding markets and increasing knowledge sharing with priority countries. 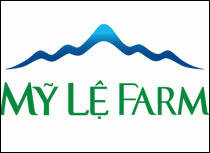 Meanwhile, the UAE has invested extensively in Vietnam's different projects. UAE-based companies also accept a large number of employees of Vietnam who play a major role in the development of the UAE. This trading and investment relationship is expected to continue to grow stronger. As a hub of the Middle East and a gateway to both Europe and Africa, the UAE is well placed to facilitate Vietnamese access and expansion into the global market. Concurrently, the UAE also recognises Vietnam as a gateway to South East Asia. Over the two decades, the UAE has been already considered one of the leading foreign investors in Vietnam, driven by some of the country’s most prominent companies, including Mubadala, DP World and Nakheel. This has resulted from the two countries signing a number of far-reaching and important economic agreements, which have the impact of increasing confidence and ensuring that both Vietnamese and Emirati investors are ever more willing to work closely together. For example, more direct flights between Abu Dhabi, Dubai with Hanoi and Ho Chi Minh City by Emirates Airlines continue to bring the two countries closer together. As such, it is clear that opportunities to further enhance cooperation between Vietnam and the UAE are plentiful. We are confident that the burgeoning ties will be moving toward a higher level. Furthermore, DP World’s seaport project - Saigon Premier Central Terminal recorded with an investment of more than US$500 million, another big project by DP World - namely Ha Long Star residential and resort complex estimated an investment of US$550 million. Another reputed name Abu Dhabi-based company - Mubadala has conducted a large number of investment resources approximately US$300 million for upstream and downstream projects in related to oil and gas industry in southern areas of Vietnam. Besides Abu Dhabi, Dubai is one of the seven emirates in the UAE that many Vietnamese companies have already paid attention to and prepared to reach this potential market, especially on the occasion of Expo 2020 Dubai to be held from November 2020 to April 2021. The UAE is the second biggest economy in the Middle East. With its strategic location, comprehensive infrastructure, more than 30 state-of-the-art free zones through the country and open economy policies to attract foreign investment, the UAE plays an important role in the region’s business and economic affairs. Dubai is not only a major consumption market, but also an important re-export centre for other countries in the region as well as the global third largest re-export centre. Notably, Dubai handles 75 per cent of total imports of the UAE; Dubai handles 82 per cent of non-oil exports of the UAE; and Dubai accounts for 78 per cent of total re-exports of the UAE to other Arab countries and MENA markets. Dubai has a strategic location and favourable conditions. The fact that more than 50 per cent of the Global Fortune 500 Corporations currently base their regional headquarters and trade centres in the Emirate is a testament to the important role played by the country in the region’s economic affairs. Probably, more Vietnamese partners and exporters to the Expo 2020 Dubai are absolutely in line with Vietnam’s export strategy to 2020, with a view to promoting and distributing Vietnamese products toward international community. 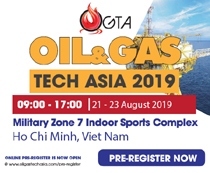 Once Vietnam National Pavillon is set up, it will be a venue to showcase Vietnamese products and organise workshops and seminars, through which Vietnamese partners and exporters can find foreign partners and good deals. The Middle East is a promising market, especially for agriculture products, since it has a population of more than 410 million and particularly 90 per cent of food items in the Gulf Cooperation Council (GCC) are imported from abroad. 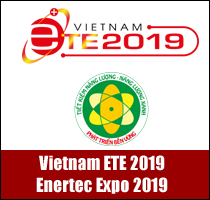 In general, the pavillon would showcase agro-forestry and fishery products and furniture, textile and garments which are prevalent in Vietnam and for which MENA region has high demand. Also, the Expo 2020 Dubai the first time ever to be held in MENA, would create a network to link Vietnam with other partners and consumers in the rest of the world. 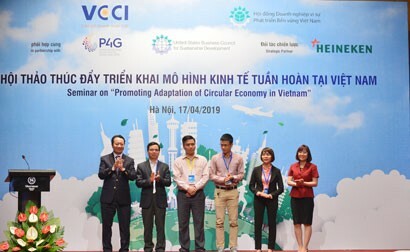 As one among of the leading economies, the UAE always attaches the great importance of environment protection and sustainable development in parallel with economic growth, it would be a valuable experience for Vietnam to refer. While the UAE is determined to pursue its economic growth, at the same time, they are aware of the need to ensure that development is sustainable. Part of this is the recognition that natural resources are exhaustible, and need to be used wisely, coupled with the understanding that the country must play its part, along with others, to efforts to deal with the global threat posed by climate change. Accordingly, the UAE has invested at home and abroad in solutions to the climate challenge, leading the region in deploying clean energy, including four nuclear power stations that are now under construction and the world's largest concentrating solar power plant - Shams 1, developed by Masdar. The UAE is supposed that the sustainable development and renewable energy are also the interest of Vietnam in the process of its deeper global integration. Besides official cooperation mechanism such as activities of the Joint Committee for Cooperation between the two Governments, various activities of trade promotion agencies and private sectors of both sides should be strengthened with a view to activate the agreed minutes after the 3rd Session of the Joint Committee for Cooperation. 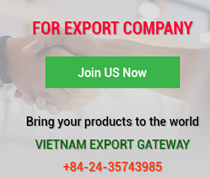 Many companies from the UAE come to participate in trade fairs and exhibition held in Hanoi and Ho Chi Minh City like Vietnam Expo as well as Vietnamese companies attending trade fairs and exhibition in the UAE over the last time. After that, many business deals were signed by the private sector of both sides. Setting up a business council between the UAE and Vietnam may be a useful channel to boost private sectors and business community. Accordingly, seminars and forums held by the council, may be good platforms drawing attention and participation of private sector and business community of both sides. 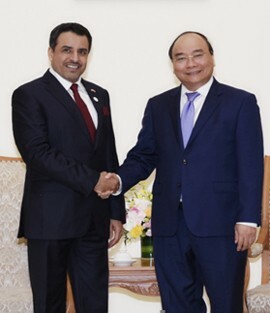 While doing business and investment in Vietnam, a large number of Emirati investors and foundations also care for charity activities in the southern area of Vietnam. Although, the UAE has now transformed into a model for others through exemplary achievements in various fields; however, the most sparkling feather in its cap is its leading role at the global level in the field of humanitarian aid for people in need, regardless of geography, race or religion. As passing time, UAE citizens and residents recall with pride the life of the founding father - Sheikh Zayed bin Sultan Al Nahyan and his tireless efforts to promote the country as a global capital for charitable works. The country has remained generous over the years, and more than 170 countries worldwide benefited from this generosity, including Vietnam. During the past years, an amount of approximate US$2 million was donated by the UAE foundations for needy people in Vietnam's southern areas. Remarkably, reputed organisations such as the UAE Red Crescent Society, the Dar Al Ber Society, Sheikh Khalifa Bin Zayed Al Nahyan Foundation, Borouge company and many Emiratis people have funded the purchase of medical equipment and ambulances, the construction of clinics and houses, as well as electric pumps, schools, mosques and bridges for poor people in An Giang and Tay Ninh provinces as well as Ho Chi Minh City. So far, all construction works have been finished and put into operation and brought about many changes and much happiness to local people. These decent activities have been continued and inspired by the spirit of the Year of Zayed during the whole year 2018.